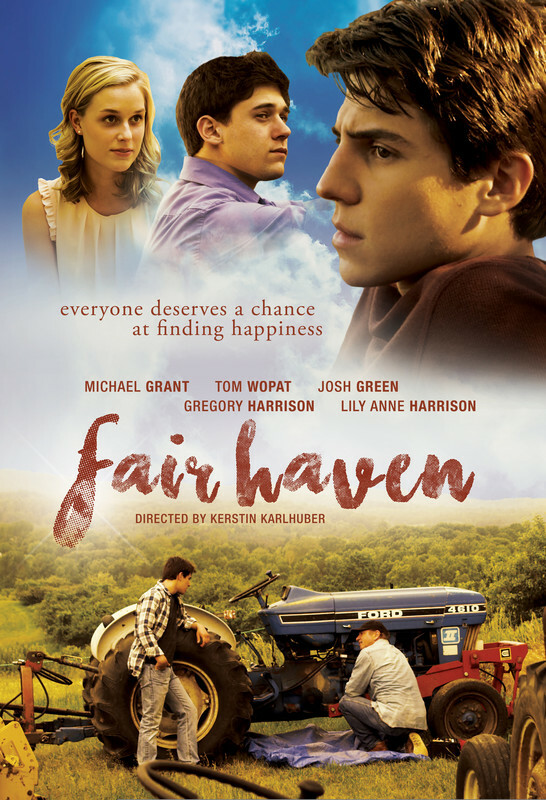 ​A young man returns to his family farm, after a long stay in ex-gay conversion therapy, and is torn between the expectations of his emotionally distant father, and the memories of a past, loving relationship he has tried to bury. Starring Tom Wopat (Dukes of Hazzard, Django Unchained), Michael Grant (Secret Life of the American Teenager), Josh Green (Alvin and the Chipmunks: Road Chip), Gregory Harrison (Rizzoli & Isles, Trapper John MD), and Jennifer Taylor (Two and a Half Men). Juxtaposing self-consciousness and fear with the joy of liberation, Furious Saint Jack & Otter, Alone dynamically explores the visceral, breathless poetry of a sudden romantic connection. Roberts explains that he "aspires to craft visual meditations on humanness; exploring ideas of intimacy, alienation, ecstasy, and counterculture" and it shows in this wonderfully crafted film.. 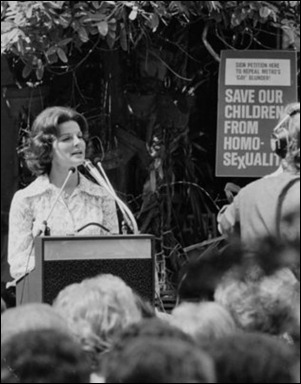 In the heart-wrenching documentary “Letter to Anita,” award-winning filmmaker Andrea Meyerson explores the painful legacy of singer Anita Bryant’s infamous anti-gay campaign of the late 1970’s. Narrated by three-time Emmy-nominated actress Meredith Baxter who tells the story of Ronni Sanlo, a married mother of two who came out as a lesbian and divorced her husband, losing custody of her children as a result- an injustice that propelled Ronni into a life of LGBT activism. An original song inspired by and featuring marriage activist Edie Windsor. Edie witnesses a musical scene where two young women reenact Thea’s proposal to her in the 1960’s - when marriage between 2 women was not an option. A celebration of the enduring power of love! Andrea Meyerson is an award-winning creator of film and television programming as well as a successful producer of concerts and live comedy shows. As founder and president of StandOut Productions she has produced and directed nearly 30 feature films, television specials and series episodes which have aired on Showtime,Viacom’s Logo Network and several Canadian networks. In 2002, Meyerson produced and directed the award-winning comedy documentary LAUGHING MATTERS. The success of the critically acclaimed film spawned three award- winning sequels: LAUGHING MATTERS...MORE! (2006), LAUGHING MATTERS...THE MEN (2007) and LAUGHING MATTERS...NEXT GEN (2008). In 2012 Meyerson completed the full-length documentary I STAND CORRECTED, which she produced and directed.The film premiered at the American Documentary Film Festival in April 2012 where it won the Audience Award for Best Film. Still playing at film festivals, I STAND CORRECTED has won a total of 15 audience and/or jury awards and continues to receive outstanding reviews. In 2014 Andrea premiered her documentary, LETTERTO ANITA, which is still touring the lm festival circuit worldwide and has won numerous awards. Meyerson created a vlog in 2008 called ALL ACCESS PASS which was acquired by afterellen.com, one of the largest lesbian websites in the world. She hosted, directed and produced 40 episodes interviewing guests such as Heart, Cybill Shepard, Renee Zellweger, Gina Gershon, Jane Lynch, Margaret Cho, k.d. lang and many others. The recipient of numerous awards for her activism, serving others, and passion for her work, Meyerson was recognized with the Los Angeles Gay & Lesbian Center’s “L.A.C.E. (Lesbians Active in Community Empowerment) Award” in 2002. PowerUp honored her as one of the “10 Amazing Women in Showbiz” in 2004. In 2006, she received the “WIN Outstanding Women Award” from the Women’s Image Network and was one of three nalists for PlanetOut’s “Entrepreneur of the Year.” Andrea made history in 2007 when she became the first out lesbian to receive the YWCA’s “Women of Achievement Award”. In March of 2008, Andrea was honored with the Human Rights Campaign’s prestigious “Local Hero Award.” The Pride of the Ocean LGBT Film Festival presented Andrea with their “Body of Work Award” on their 2013 Alaska Cruise. Earlier this year, she received the “Visibility Award” from JQ International. She is also the founder of Women On A Roll, one of the country’s largest social organizations for lesbians. Meyerson recently completed CLAMBAKE, a documentary about the 30-year history of Women’s Week in Provincetown.The film was released in September 2015 and and has already won several awards on the film festival circuit.